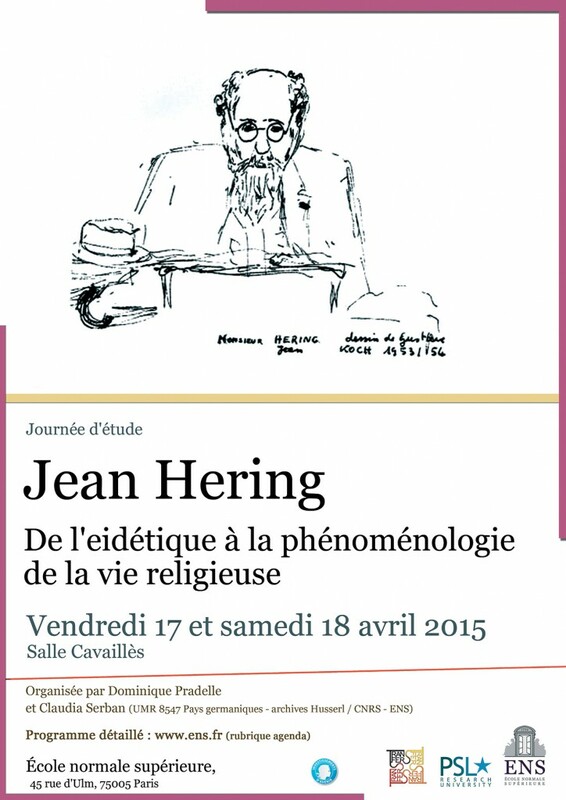 The swiss journal Revue de théologie et de philosophie just published a special issue on one of the earliest pupil of Husserl and Reinach from the Göttingen period, the Alsatian phenomenologist Jean Hering (1890-1960). 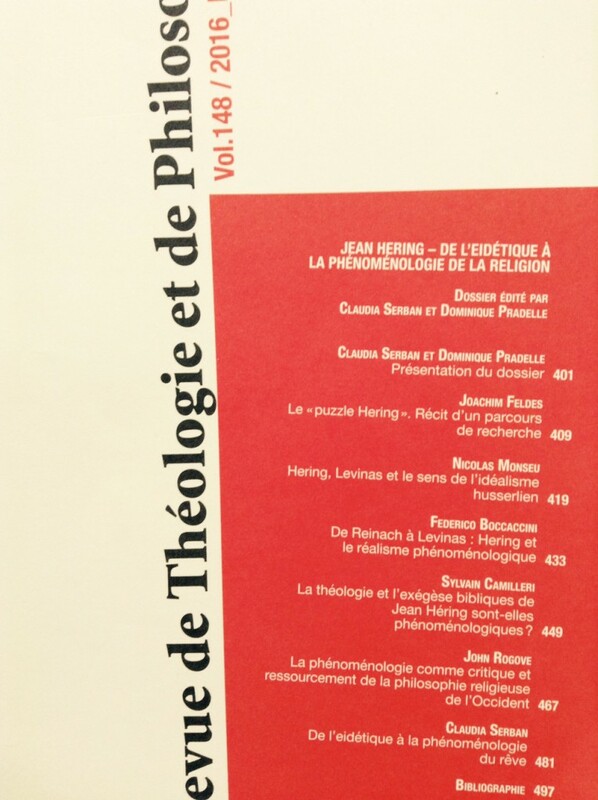 The issue is directed by Dominique Pradelle (Sorbonne University) and Claudia Serban (University of Toulouse). There are 6 original contributions dealing with phenomenological idealism and realism, connections between phenomenology, theology, and exegesis, as well as on phenomenology of dream. Dr. Rev. Jochim Feldes also gives a thorough description of the Nachlass kept in Strasbourg. All contributions are improved versions of presentations held at a conference organized in 2015 at the Archives Husserl de Paris / Ecole normale Supérieure. Check it out!